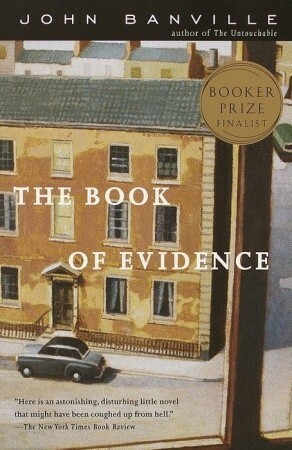 John Banville’s 1989 novel, The Book of Evidence, is a Dostoyevsky-esque story about a man, Freddie Montgomery, who attempts to steal a painting, and in the process, murders a servant girl. He recounts all the events surrounding the murder from his prison cell as though he is speaking to a judge, sometimes interjecting “your honour” into the narration, oftentimes second-guessing details and contradicting himself. The entire novel is written completely in narration with interjections of secondhand dialogue. It is fast-paced, captivating, and explosive, sprinkled with dark humor and told in a literary yet very conversational tone. When I was reading this novel, I was completely captivated by Freddie’s voice, and how Banville so effectively revealed Freddie’s eccentricities and self-contradictions in the narration. The girl Freddie murders is described as a “sybil.” He compares his mother to an Ancient Roman statue and mentions that his father had an affair with a woman named Penelope (the name of Odysseus’s wife). When Freddie decries the “poverty of language” when it comes to describing evil, it brings to mind Lucretius’s similar complaint about the poverty of the Latin language. Freddie describes Charlie French, the man he later seeks shelter with, as having a “winged helmet of hair,” reminding the reader of Hermes, the god of travelers and thieves, who wears a winged cap. I admired how Banville used all these Classical references to create another layer to Freddie’s story, building tragedy of mythic proportions and suggesting allegories throughout. Through Freddie’s myopic, narcissistic view of the world, Banville creates and reveals a complex world to the reader. Freddie is revealed to be an unreliable narrator from the very beginning; he sees the world in black-and-white, full of definite binaries which, he suggests repeatedly, are inescapable and final. But to the reader and the other characters in the book, moral, social, and sexual ambiguities abound. The color gray reappears several times throughout the novel, reinforcing this concept of in-betweeness. The contrast between reality and Freddie’s reality creates an engaging, expansive world rich with paradoxes, tragedies, and absences. Banville’s impressive balancing act inspires me to try to wrestle with different points of view in my own writing. This was a brilliantly-written, extremely funny, and deeply disturbing novel, and I highly recommend reading it.